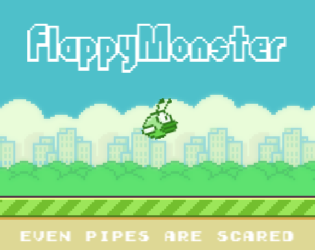 Even the pipes are scared. A joke Ludum Dare 33 entry. The theme was "you are the monster". Obviously based on Pipeless Bird, which was obviously based on Flappy Bird.